With the recent spurt of innovations in the digital advertising analytics technologies, programmatic and native advertising models are grabbing more attention. 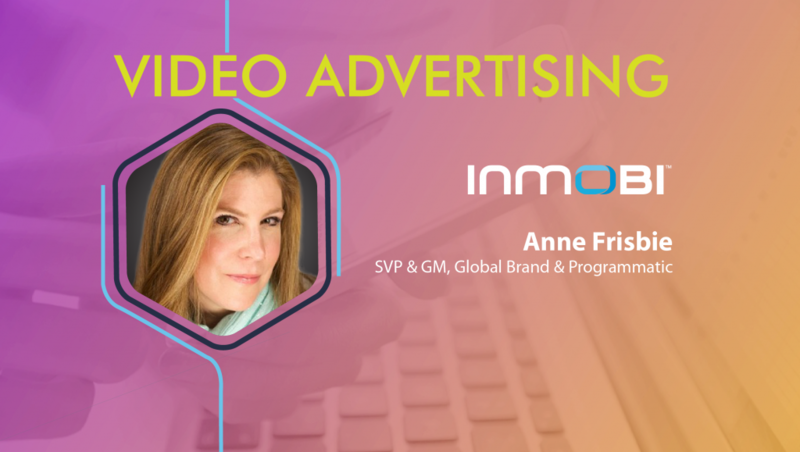 To understand the true ‘State of Advertising’ in the years to come, with the merger of programmatic and AI/ML capabilities, we spoke to the Senior Vice President, Global Brand & Programmatic, InMobi, Anne Frisbie. Tell us about your role at InMobi and the team/technology you handle. 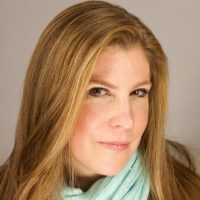 I’m the Senior Vice President of Global Brand & Programmatic at InMobi. I oversee InMobi Exchange, brand sales in North America, and also lead InMobi’s global brand and programmatic strategy. Do you see a gradual convergence of ad tech platforms towards audience-data platforms and behavioral marketing technologies? This is a brilliant question. The question of the convergence of ad tech platforms towards audience-data platforms gets to the heart of how extensive the disruption in media buying and marketing technology is, and it comes down to 1) the success of the walled gardens, 2) the failure of the media industry to pay enough for data unless it is coupled with media, and 3) the increasingly high bar that artificial intelligence will create in order to produce exponential levels of value when buying platforms, data platforms and media are combined. So yes, there will be a convergence of buying platforms, marketing platforms, media, and data. But then, questions remain about how many of these full stack “data lakes” will exist, and how much of the market will participate outside of a complete full stack? What are the major pain points for brands leveraging video advertising technologies for audience building and targeting? How does InMobi solve these challenges for customers? We have moved into a world of video consumption and video advertising that’s cross-device and predominantly rooted outside of the browser. 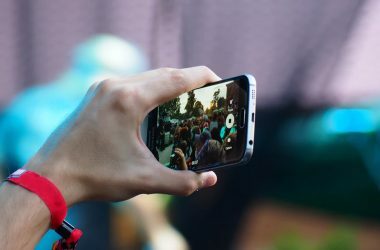 A tremendous amount of video viewing is being consumed within mobile apps or connected TVs rather than only on desktop and mobile web experiences. This alone is a major shift for advertisers. In the past, cookie-based audiences could effectively address audience buying in digital (browser-based) inventory including for video. Today, cookie-based audiences alone will simply not enable effective audience buying into the most premium video ad experiences within mobile apps and connected TVs. Has TV been side-lined as an advertising medium with the maturity of mobile and social media advertising? Not at all – TV continues to offer very powerful and trusted advertising opportunities. Linear, traditional TV did incredibly well in 2017 because that medium is understood in terms of impact generally, is relatively simple and trusted. The challenge is that marketers know that they are over-reliant on traditional, linear TV and that consumers are quickly moving to mobile and connected TV experiences. As a result, the rally cry from top brand marketers for greater trust and support around brand safety and social responsibility is driven in part because brands need digital media to become a larger part of their marketing mix because even TV experiences are moving there. How do you see the ‘State of Advertising’ evolving by 2020 with the merger of programmatic and AI/ML capabilities? Programmatic and digital media require AI/ML in order to deliver the true potential and value that is possible for all participants. Already advertising technology is one of the fastest and earliest business areas where AI/ML was being leveraged. I started in digital media in 1996, and then helped launch search marketing at AltaVista in 1997, before Google was founded in 1998. The pace of change today is faster than I have ever seen in my 21 years in digital media and that includes the launch of mobile which essentially began with the launch of the iPhone 10 years ago. 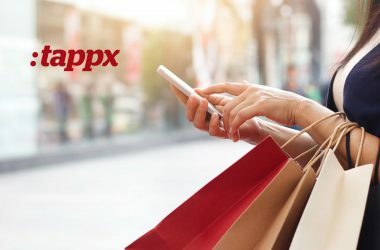 AI/ML and the power that it lends to data is one of the reasons that the pace of change has accelerated so much, and it is exactly what is driving the convergence of marketing technology, advertising technology, media, and data which is highly disruptive for everyone in the digital media ecosystem. How do you leverage AI/ML at InMobi? Would AI/ML enable make media buying and brand safety compliance easier to deal with in the coming? InMobi is leveraging Artificial Intelligence (AI) and Machine Learning (ML) in a wide range of applications. At the core of the company is an engine that runs billions of auctions. For each auction, AI algorithms find answers to crucial decisions such as deciding who participates in each auction, who wins and at what price, while ML algorithms determine which are the right ads to show to a user. InMobi is taking charge to lead innovations around AI and also works with ML generated user segments such as look-a-like segments to help advertisers find more valuable users amongst the 1.5 billion unique mobile devices that InMobi reaches. InMobi also uses deep learning to characterize creatives to help find effective creatives early and drive down exploration cost, as well as dynamic algorithms help identify user fatigue and refine ad delivery frequencies. AI/ML is at the core of InMobi’s fraud detection algorithms. As fraudulent activity gets more sophisticated, InMobi is leveraging deep learning to identify bad actors early. InMobi also uses reinforcement learning algorithms to maximize revenue and yield for publishers in a fast-changing ecosystem. Our goal is to create the largest, global ecosystem around mobile in-app and connected TV device experiences (i.e. outside of the browser) that delivers the most value to publishers, consumers and advertisers and AI/ML is absolutely at the heart of being able to achieve that. Thanks for chatting with us, Anne.